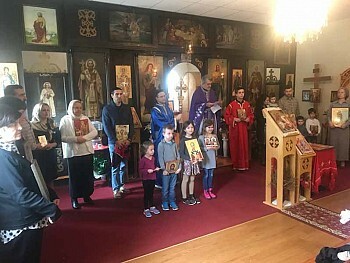 On Sunday, February 25, 2018, the Serbian Orthodox Church of St. George in Cincinnati, Ohio, ceremoniously celebrated the Sunday of Orthodoxy. The Holy Liturgy began at 10:30am. According to the instructions of His Grace Bishop of Eastern America Irinej, the priest Very Reverend Stavrophor Petar Petrovic, immediately after Ambon's prayer, sang the Troparion of the Icon of Christ, making a one-time procession within the church. After completing a one-time procession, the children with icons in their hands stood in front of the Ambon facing the people, and then the Synodicon of Orthodoxy and the Creed were read. After the reading of the Synodicon and the Symbol of Faith, the Holy Liturgy was completed. After the Holy Liturgy, Djuka and Ilija Milisic, with the family served for all present cakes and coffee in the church hall. On the same day, at 6:00 PM, Father Petar Petrovic and several of our parishioners attended the celebration of the Sunday of Orthodoxy in the American Orthodox Church of Christ the Savior in Norwood, Ohio. 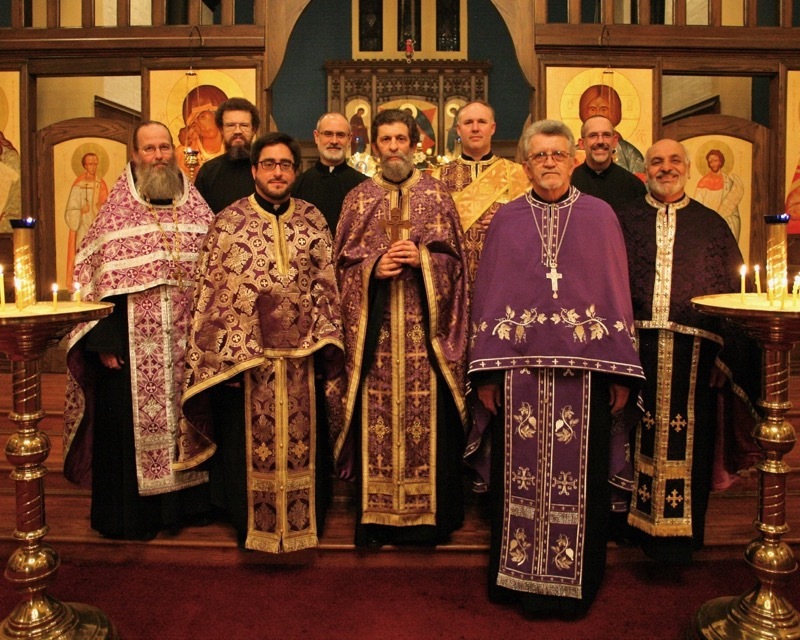 All Orthodox priests of Cincinnati and the surrounding area took part in the Great Eve Service. Afterwards, the priest of the Russian Orthodox Church, Fr. Daniel Marshall, presented a lecture on the Sunday of Orthodoxy and the significance of the Icons in Orthodox Churches. Most people seemed to stay and a very lively and friendly fellowship followed. All together, it was a wonderful climax of the first week of Lent, and a good beginning for the second week.